Submitted by Norm Roulet on Mon, 07/26/2010 - 23:45. As Introduced by the Stanford University News, March 16, 2010, in Urban CO2 domes increase deaths, poke hole in 'cap-and-trade' proposal, Stanford researcher says: "Not all carbon dioxide emissions are equal," said Jacobson, professor of civil and environmental engineering. "As in real estate, location matters". "In the first study ever done on the local health effects of the domes of carbon dioxide that develop above cities, Stanford researcher Mark Jacobson found that the domes increase the local death rate. The result provides a scientific basis for regulating CO2 emissions at the local level and points out a significant oversight in the carbon dioxide "cap-and-trade" proposal that was passed by the House of Representatives in June 2009 and is awaiting definitive action by the Senate." Jacobson's findings are presented in Enhancement of Local Air Pollution by Urban CO2 Domes, published online by Environmental Science and Technology - Introduction and conclusion included below - .PDF of the report is found here. Received October 3, 2009. Revised manuscript received December 21, 2009. Accepted March 2, 2010. Data suggest that domes of high CO2 levels form over cities. isolation may increase local ozone and particulate matter. as the underlying assumption of the policy is incorrect. in background air, resulting in urban CO2 domes (1–6). 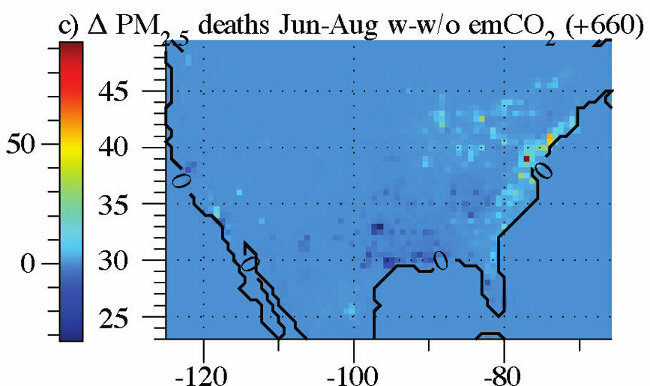 the U.S. were ∼770 (300-1000), with ∼20% due to ozone. and the U.S. may be low. Worldwide, emissions of NOx, HCs, CO, and PM are regulated. 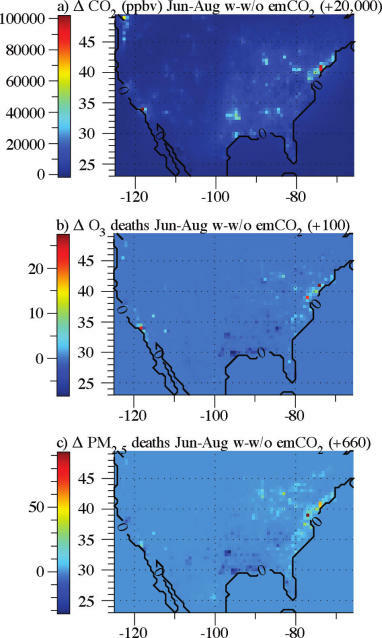 300-1000 premature air pollution mortalities/yr in the U.S.
location of emissions to avoid additional health damage. Ward 14: Channel energies&resources...request for flack jacket?